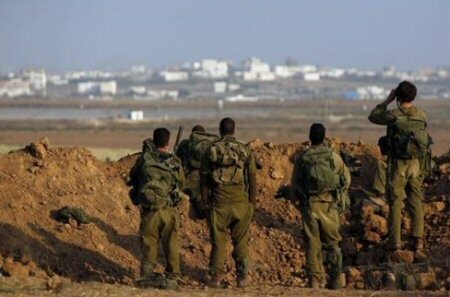 Israeli military bulldozers entered dozens of meters into eastern Beit Hanoun, on Wednesday, in the northern besieged Gaza Strip. A Ma’an reporter said that four Israeli D-9 bulldozers razed and leveled lands as Israeli drones flew overhead. The Israeli army also regularly detains and opens fire on unarmed Palestinian fishermen, shepherds and farmers along the border areas, if they approach the buffer zone, as authorities have not made clear the precise area of the designated zone.